Recently two Israeli soldiers were taken captive. The Israeli forces responded with overwhelming military force. This is not the first incidence of this kind. Around 4,000 years ago there was a similar occurrence. Sounds like our Judo of today. The Biblical narrative tells us that Jacob’s wrestling opponent was none other than an angel of God. After the match the angel blesses Jacob and tells him he now will have a new name; Yisrael (Israel). The Hebrew word Yisrael is composed of two words - Yisra (to struggle) and El (God). “For you have struggled with God and man and have prevailed.” Thus the name Israel is born of this early wrestling match close to 4,000 years ago. 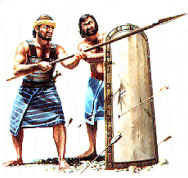 In a sense the nation of Israel and the earliest Israeli self defense were born together. The struggle with “God and man” has continued to this very day. 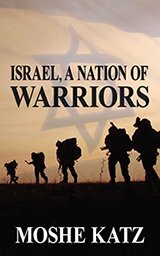 Read about the connection between the warrior and the Bible in today's army.